Pixel Power The graphics card is a critical component for gaming, and our guide will ensure you get the right one for your needs. Benchmark Royale From modest to extreme hardware, we've tested Fortnite to show how it runs, with updated results as of Season 7. Stealth power We've tested numerous graphics cards, CPUs, and notebooks to find out what it takes to get the most out of Hitman 2. How to use the Nvidia Control Panel's most important settings, and what to do if the Nvidia Control Panel is missing. Nvidia vs AMD: Which is truly better? Flame Wars Everything you really need to know about Team Green vs. Team Red. The event is scheduled the day before Gamescom 2018 kicks off. 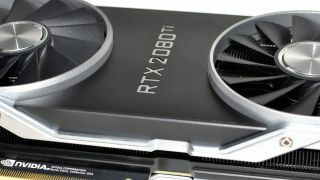 Blame Game Looking back at the great graphics card shortage. Performance Preview We've tested Far Cry 5 on dozens of GPUs and CPUs to determine the best graphics settings for your PC. Performance Analysis We've tested a huge number of configurations and hardware to see how the game runs. news The streaming service supports games on Steam and Uplay. Find the best prices from all the manufacturers. News Taking Pascal for a swim. 1050 Deals Want to find the best prices from the top manufacturers? news The latest version of Nvidia's "premium gaming service" is now available. As of mid-December, Game Ready drivers will no longer be downloadable from the Nvidia website. Nvidia is reportedly taking another run at the living room with a device that will bring PC games to HD televisions. In addition to revealing the $3000 Titan Z, CEO Jen-Hsun Huang updated Nvidia's graphics architecture roadmap with a first look at the Pascal GPU.